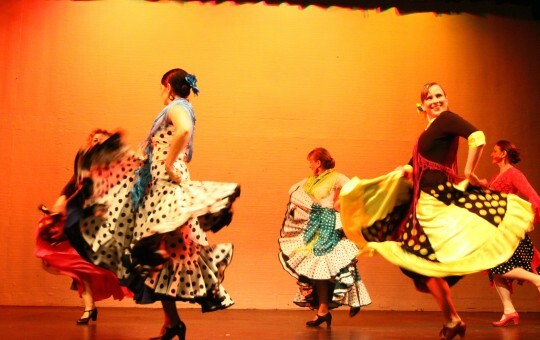 Flamenco is the passionate dance from the south of Spain – clapping, footwork and big dresses. It has Arabic and gypsy roots and nowadays also enjoys many contemporary influences like jazz, and the addition of new instruments other than the more traditional guitar and “cajon” (wooden box percussion). Flamenco in Wellington has been going for over 15 years in various constellations, with people travelling to Spain to study with the maestros over there and even with Spanish performers coming to Wellington! At the Newtown Festival we will be performing some fast-paced, passionate dances with lots of footwork, accompanied by guitar and cajon. Fiesta!